Square said in a release that it will offer 25.65 million shares priced at $9 when it begins trading as a public company. Another 1.35 million shares are being offered by the Start Small Foundation, a charitable fund created by Dorsey focused on struggling communities. The offering values the San Francisco-based startup at about half the $6 billion valuation it got in its latest round of private funding. Sales of the shares will raise $243 million. 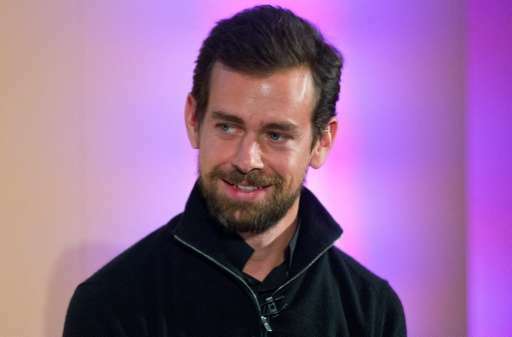 Square, founded by Twitter's Jack Dorsey—who is chief executive of both firms—said in a regulatory filing early this month that it expected to price shares between $11 and $13. That initial public offering (IPO) price range suggested a market value of just over $4 billion. Some analysts have warned of a tech bubble in the private markets, with dozens of firms getting a value of over $1 billion—"unicorns" in Silicon Valley parlance—without enough scrutiny over their financial prospects. Square, which started in 2009 by providing financial transaction software for smartphones or tablets along with free "dongles" that read magnetic strips on payment cards, is among prominent unicorns in startup-rich Silicon Valley. Square "has been a highly anticipated tech IPO," said a note earlier this month from research firm PrivCo. "It also comes at a time when the IPO market, especially for tech IPOs, has seen a dramatic decrease in activity due to economic uncertainty," the note maintained. One major question for investors is whether Dorsey, who last month retook the reins at struggling Twitter, can effectively lead both companies. The company plans to trade on the New York Stock Exchange under the symbol "SQ." Regulatory filings showed a net loss in the third quarter for Square of $53.9 million on revenues of $332 million. Square operates by taking a 2.75 percent cut on transactions using its mobile dongle and more for purchases entered manually on its mobile app. The company faces competition from other players, notably PayPal, which was spun off this year by eBay. In addition to the United States, Square has operations in Canada, Japan and Australia and claims to have "millions" of users around the world, ranging from independent craftsmen who use its dongle to accept credit card payments to large chain stores. A weak showing on Wall Street by Square could chill the surge in investment in tech unicorns, making private investors wary of putting billion-dollar valuations on unprofitable startups. In the past quarter 23 unicorns were created—including 17 in the United States—bringing the total to 58 so far this year. According to CB Insights, there are 143 unicorns worldwide with a combined valuation of $508 billion. Some startups have seen unprecedented valuations such as Uber at more than $50 billion and Airbnb at $25 billion. Pricing for an IPO can be tricky, because Wall Street often likes to see a jump in the market debut. But a low price can hurt private investors who bought in at sky-high valuations.